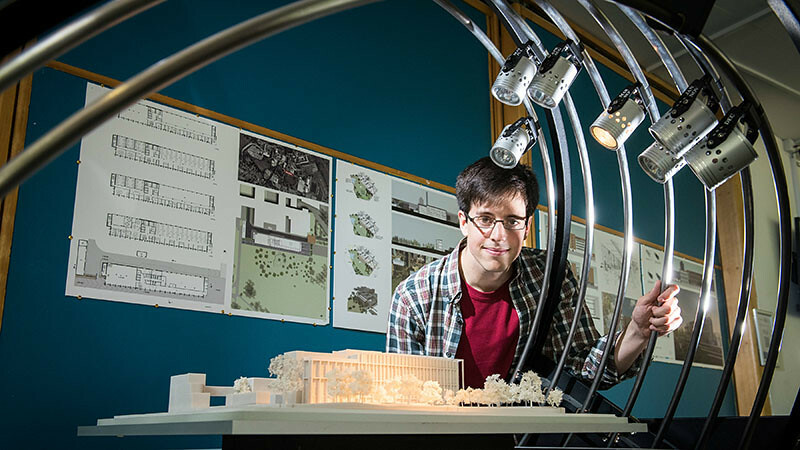 Our course brings together architectural design and engineering so you can create spaces that are practical and sustainable as well as beautiful. You'll learn how to design buildings with low-carbon footprints and a focus on comfortable and healthy living. There is a need for trained professionals who know how to reduce the environmental impact of construction. We'll help you develop your design and technical skills throughout the course to meet this need. We have a range of facilities to support your studies including environmental monitoring facilities and an artificial sky with light meters. You’ll also have access to specialist computer and software facilities for environmental modelling. To apply for this course, you should have an undergraduate degree in architecture (buildings related), architectural engineering, building engineering, civil engineering, mechanical engineering or physics. A 4 year Bachelor’s degree from a high ranked (HEC) university with a final overall result of at least First Class (Division 1). A four-year bachelor’s degree with a final overall score of at least 75% (GPA 3.0) depending on the university studied at. A four-year bachelor’s degree with a final overall result of 75% (GPA of at least 3.5 out of 5.0 or 3.0 out of 4.0). A bachelor's (honours) degree with a final result of at least 2:1. A bachelor degree (Ptychio) or diploma with a final overall score of at least 6.5 to 7.5 out of 10 depending upon the institution attended.